Ian Player passed away last night and we are all the poorer for it. People like him leave gaping holes behind them, and somehow we never quite get to fill them again. I know he would chide me for comparing him with Nelson Mandela, but the truth is, he was to the animal and floral kingdoms what Madiba was to humanity. One of South Africa’s turf greats, Bertie Hayden, has passed away. “Smith scored nearly 10,000 runs, made 27 hundreds, averaged nearly 50. He made three hundreds against Australia. Summerhill CEOI’m in Australia as I write, Melbourne to be precise. I mention the city because it’s about to be hit by some massive financial calamities, and you’d think that might’ve dampened their appetite for horses. Ford, Holden, Toyota, the last bastions of motor car manufacturing in Australia, are all closing down, all in the Melbourne precinct. Aussie icons Alcoa, Electrolux and Gove are all shedding large numbers of jobs. The “Spirit of Australia”, Quantas, is on the brink of becoming the “ghost of Australia”, to quote an eminent trade unionist. The Aussie dollar is so strong, it’s walloped tourism, manufacturing and agriculture, and the resources sector, the mainstay of their economy in the past decade, is harvesting 20% less this year than last in the way of investment. Headwinds, you’d think, but somehow these fellows always seem to find some means of pulling a rabbit out of the hat. In the very week I’ve been here, dairy farmers have conjured a leap of 15 cents in the litre from their milking activities, from 35 to 50 cents (near enough 50%). Somehow they’ve managed to convince the Chinese that milk (and particularly Aussie milk,) will add years to their lives and do something for the libido. Who knows, they might still save the rhino. When times are looking tight, most players head for the shelters. As buyers at the Inglis Premier Yearling Sale, we thought this could play into our hands; maybe the exchange rate could be countered by a drop in prices. Somehow though, the Inglis team had convinced the world that this was a sale not to be missed. We knew it as soon as we drove into the carpark on the Sunday morning: it was like the whole world had pitched up. In Australian recessionary terms, horses are apparently bomb-proof. By the end of day one, the average was up 15%, and they were “cooking”. In some respects, we’ve only got ourselves to blame. In recent years, we’ve taken home the Igugus, the Hollywoodboulevards, Rio Carnivals and Dylan’s Promises from Australia, and it’s not only the South Africans that know it. What’s happened is we’ve become victims of our own success, and now it seems there are many more who want a bite of it. We’ve learnt though, that patience is the virtue the saying says it is. If you can resist the temptation to chase the market, in any catalogue bordering on 800 entries, you’ll find the odd hole. Like the Redoute’s Choice or the Encosta De Lago everyone thought would be too dear for their budgets. Or the odd one an Aussie vet might’ve condemned for fear of a negligence suit, whereas having our own man along for the ride, has sometimes enabled us to make a practical call on an otherwise “unwanted urchin” of the veterinary world. So we won’t be coming home empty-handed, though it has to be said, Inglis have managed to part us from our dough once again, all the while smiling and acting like the world’s greatest hosts. The Aussies have pulled another bunny from the hat while we’ve been abroard, this time in our own backyard. At Newlands, nogal. We all know the “baggy greens” are the world champions at “sledging”, and its apparent from the telecast they’ve had plenty to say on and off the field this past week. So the last thing you want to be is a visitor to Australia in the midst of a cricket test when they’re belting you. You’re not just up against eleven of them on the field; it’s like you’re taking on the whole damn nation! On the way, they’ve taken down the greatest cricket captain the South African game has known. Graham Smith did the same of course, to three England captains, Mike Atherton, Nasser Hussain and Michael Vaughan, as well as Australia’s favourite son, Ricky Ponting, so you might’ve thought the Aussies would be gloating a bit. It has to be said though, there was always a grudging respect between the two sides, (and the nations, for that matter,) epitomised by the players guard of honour that marked the ends of both Smith’s and Ponting’s careers. Forgive me, those readers who visit these columns for the “horsey” stuff, if I pay my respects to a man from another discipline for a moment. Over the years, we’ve dedicated acres of space to our racehorse champions; this is a champion in another mould, but a champion nonetheless. Of Graeme Smith, this can be said more accurately than of any other contemporary cricketer: he took block. Tall and bulky, he filled the crease at the start of every South African innings of his time, obscuring the bowler’s view of the stumps and the wicketkeeper’s sight of the bowler, immediately creating the impression of permanence. Granity rather than gainly, deft as lumber, he moved as if armour-clad, and like he needed a good oiling. But there were never as many chinks as seemed likely, nor ever a loose screw. He hid technical limitations behind temperamental fortifications, perhaps better than anyone has. Getting him out called for a crusade. Always, his face was set in a kind of half-grimace, like a rugby front-rower about to pack down. It was how he played his cricket. His in-team nickname was and is, “Biff”. Beginning at 21, he made three double-centuries in his first 12 Tests. The last two were consecutive, against England in England, and he was already captain. As recently as October, he made another double against Pakistan. But Australia has finally worn through his many layers, and now it is all over, and so is an era. Smith scored nearly 10,000 runs, made 27 hundreds, averaged nearly 50. He made three hundreds against Australia. At 22, an eight-Test veteran, Smith was made captain. In batting terms, this was Johnson from both ends, helmet-less. It was 2003. South Africa still was the team that did not dare to win. The stench of the Hansie Cronje affair had not entirely cleared, Shaun Pollock’s intervening nice-guy years notwithstanding. South African cricket was still wrestling with quotas, and has yet to work out how to cultivate non-white cricketers without being seen to patronise them. Its board was politicised and poor, and later revealed as corrupt. Consequently, South Africa never has as much clout “off-field”, as on. It rarely gets what it wants in terms of fixturing and favours, a regret Smith voiced again only recently. Smith took block. Initially, he was laughed off: plain name, plain game. Nasser Hussain called him “whatsisname”, Michael Vaughan and Kevin Pietersen mocked him and he fell for Shane Warne’s goading. Smith and Australia begrudged one another respect. In Smith’s favour was Jacques Kallis, Dale Steyn, later Hashim Amla and A.B. de Villiers. But it was one thing to have them, another to hold them. Smith did. South Africa won in England for the first time in 40 years. It won in Australia, twice; no team had done that since the West Indies. It made 414 to beat Australia in a Test, 438 to beat Australia in a one-dayer, and Smith figured tellingly in both. As a country, we clambered doggedly and determinedly in all forms, in the image of our captain. Four times, Smith made winning fourth innings hundreds, a unique distinction. South Africa has not lost away for eight years, nor at home for five. Eighteen months ago, we became the No.1 team in world, and whatever happened at Newlands, we still are. Since reintegration, eight men have captained South Africa. Smith has led in more Tests than the other seven combined, and retires as the longest-serving captain of any country in history. Even Warne likes him now. Somewhere along the way, while pulling all his weight, Smith punched above it. Now his wife and young family become his priority. Captain and batsman, the sum of the parts of Smith add up to a big, solid and formidable cricketing presence that will be made most notable by its absence when South Africa next bats in a Test match, and Graeme Smith does not take block. From one champion team to another, thanks for the memories. Summerhill CEOFor a fellow who usually has something to say about most things, you may find this surprising, but the thought of writing a tribute to a man who has brought such honour, not only to this little country of ours but to the continent as a whole, has been daunting. Cheryl and I were in Mauritius when Nelson Mandela passed away, and we spent Friday glued to the BBC. It was as eloquent a statement of the esteem in which the global community held him, that a broadcaster of the BBC’s international reach, devoted, as several others did, their entire day to his memory: no business, no sport, no weather, no Syria or Ukraine, nothing but a man who grew up in a mud hut not far from where I did, and who stands today as the moral beacon of the entire world. I am no statistician, and my attention to detail is sorely lacking, but I can’t recall any memorial service anywhere attended by four presidents of the United States, four prime ministers of Britain, two future kings of the same kingdom and more than 80 heads of state. That, and almost every newspaper, TV station and website have said everything that had to be said, so what’s left for a Zulu farmer to say that hasn’t already been said? I’ll try and be as original and as personal as I can, remembering that all of us believe we have some kind of proprietorial interest in the man. Most of our readers know that one of the most cherished memories of my growing-up years, was a photograph of “Madiba’s” mentor strapping one of my grandfather’s runners for the Bizana Cup, as a barefooted teenager. It’s a measure of that youthful “strapper” that the first impression a first-time visitor gets of South Africa today, is one of the world’s great international airports, Oliver Tambo in Johannesburg. He grew up in one of our remotest places, Bizana, just two villages from where I did. The Goss ancestral home, where the owner of the 1946 Durban July hero St Pauls’, my grandfather Pat Goss Snr, grew up, was in Qumbu, just two villages from Mandela’s ancestral home, Qunu. There are plenty of “Qs” in our part of the world, as you can see, which reminds me of another “Q” in the great man’s life, the difference lying only in the pronunciation. Walter Sisulu once famously related that on a visit to the icon, he interrupted a phone call between Madiba and a lady he affectionately kept referring to as “Elizabeth”. Pressed by Sisulu to reveal the identity of the respondent on the other end of the line, he was astonished to learn it was The Queen of England. “How can you call her Elizabeth?” enquired Sisulu. “Well, she calls me Nelson,” came the improbable, but perfectly sensible, reply. He was obviously a student of Kipling, who taught us to walk with kings, yet never to lose the common touch. To Mandela, all people were equal. Simple as that. In the early nineties, as a relatively young member of the council of the Thoroughbred Breeders of South Africa, I was introduced by the chairman, Lowell Price, to our future Minister of Sport, Steve Tshwete. We helped him to raise the cash for his first mortgage after his return from exile. In turn, through the influence of Steve in his capacity as Sports Minister, I had the singular honour of meeting the President as he was then, and securing his assent to his patronage of the President’s Cup race day (modelled on the lines of the Breeders’ Cup). It’s one of the regrets of my life that, as an industry, racing allowed what might’ve been the greatest gift the game has known, to slip through its fingers through the intransigence of a handful of bigots. We let the greatest icon of our times “go”, if you can believe it, and we are all the poorer for it. My memory is of a man of great presence, of warmth, enthusiasm and humility. Listening to the tributes, it seems that’s the way everyone knew him. Always. 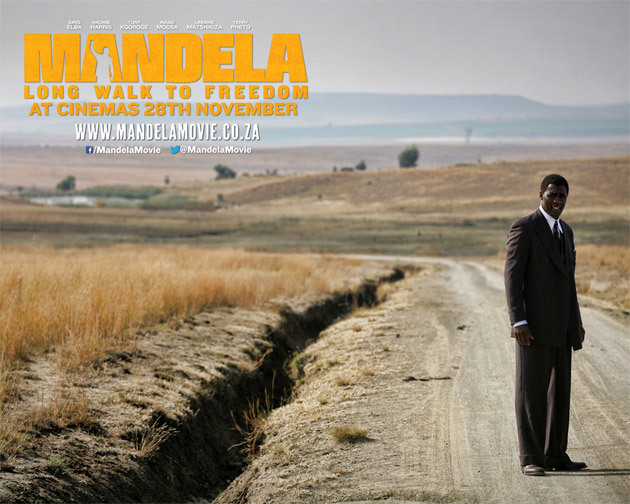 A couple of weeks back, I wrote of my admiration of the wonderful “job” our good friend and Summerhill client, Anant Singh, had done in his production of the movie “Mandela: Long Walk to Freedom”. In a moment of great poignancy, the greatest man of our times, certainly the greatest African of all time, and perhaps the greatest the world has known, passed away as the movie was being premiered to the good and the great of London. It’s a moving movie, as we’ve already told you, but can you imagine anything more moving, more everlasting, than for an audience to be told as it concluded, that this great man had died as they relived his remarkable life? As great as he was though, his greatest achievement rests in an even greater legacy. As our President, his leadership and his values had settled the fears of a once-implacable minority, and brought perspective to the high expectations of an impatient majority. He knew, we knew, and importantly, the whole world came to know, that despite the times and the past, the only path to a life of peace and prosperity for the “Rainbow Nation”, lay in forgiveness and forgetting, and in forging a way forward with a common purpose. In his death, it’s apparent that his final gift lies in the pride and the unity every South African shares in his memory. For generations ahead, we and the world will have what he’s left behind to remind us of the way to proceed when our moral compasses have deserted us. I’m proud to be a fellow “Xhosa”, I have to say, and that’s something no-one can take away. Summerhill CEOAnant Singh’s masterpiece is not only powerful theatre, it’s a considerable work of scholarship. This movie will travel, and while I can’t claim to be a critic of any stature at all, I must say it’s up there with the most memorable I’ve seen. Besides Anant’s genius in condensing what could easily have been a ten part mini-series into a couple of hours of riveting entertainment, the cinematography was outstanding, and of course, there was abundant sentiment for those of us who live in the Midlands, in the beautiful Drakensberg scenery. Any South African who cares about this country and searches for an explanation for our complexities, has to see it. You know us as proud South Africans, but it should be said, South Africa can be really proud of the Videovision team; nothing of this calibre has seen the light in this country before. The Summerhill team takes great pride in knowing you, Anant and Vanashree, and in being able to call you our friends. Barry Ronge doesn’t give “tens”, but at 9/10, he came close enough. Our score, unbiased and untainted by precedent, is an unqualified ten! Cheryl and I have been lucky in our lives. Not only for what we do and where we do it, but especially for the friends we have, the people we work with and the creatures we’re privileged to raise. Among our good friends are the Singhs, high-flyers, movers-and-shakers and above all, movie-makers extraordinaire. “I appreciate your paying homage to late greats. It is fascinating that Basil Cooper and The Maltster have come to light again after all these years. Mooi River may be a little village, but is far from being a backwater given the greats who have paraded through there, including Lester Piggott. My point is that it may be Piggott in Pietermaritzburg rather than Durban, where the original legendary race was run. I knew he had ridden the Maltster but the story had become foggy over the decades. I knew that Basil was connected to Irish racing and that Vincent O’Brien paid him visits but I did not know the rest of the Cooper connections. I see the chaps have been debating what really happened online. I will set them straight once my facts are verified. According to Sean Magee, for the book, “My Greatest Race”, Piggott nominated winning a race at Pietermaritzburg in 1975 on The Maltster after his stall had failed to open properly and they had been left 30 lengths. So it was the horse, not the Gold Cup in 1979, which Piggott was referring to, although the Gold Cup must have made an impression. Jack Ramsey concurs in the story of the most extraordinary thing he’s seen on a racecourse. This he says was “back at home, at Scottsville in Pietermaritzburg, when Lester Piggott won a minor race on a horse called The Maltster in the 1970s. The starter lifted the old starting barrier tapes with the visiting British champion jockey and his mount still facing the wrong way. He was left hopelessly about a furlong behind. No-one there that day gave him any chance of even making a place. But he somehow got that horse up to win going away. Lester himself said later it was the greatest race he ever rode. I was not a witness to either of these races as he was at stud when I came on the scene to work for Basil Cooper as his unlicensed assistant for a time in the 80s. But I remember The Malster and Basil’s stories about him. He was a fierce fellow, and if he took a dislike to you, would take a chunk. Stable lads would be picked up by the shoulder and flung out of his stall. His licensed assistant (a rather nutty female who shall remain nameless here) was bitten on and picked up by her breast and was seldom seen at the stables thereafter. While his father Speciality was fond of Basil and used to nicker at him in recognition, he told me that the rogue son once pinned him down, knelt on him and savaged his head. I was advised to ride him with a whip in each hand when exercising him lest he bite my knees off. Basil told me that The Maltster hated greys in particular. He was a dark horse in more than colour. He would often slow down to try and take a chunk as he went by. So more than likely, it was this which caused his head to be in the stall next to him at the Gold Cup and him to be facing backwards at Scottsville. He was a dirty but great fighter nevertheless, and Basil said he never saw him as happy as he was with Piggott on his back, since he had great hands. “Here are some fading instamatic memories digitized before disappearing. The first photo shows Basil seated and me standing. His sister and brother in-law were visiting and I think took some of the snaps. Basil tried to get me riding work and only just won by a neck. Today we take better pics with our phones but there is something charming about the sepia hues that is evocative of nostalgia for a time when we relied on sense in our heads rather than helmets on them. None are posed except The Maltster with Sipho, whose horsemanship Basil respected and relied upon, an admirable Irish-African team they were. I looked again at the race report of The Maltster and see that at the bottom there is the 1975 Scottsville race which I originally missed thinking it was only the Gold Cup of 1979. The very faded race pictures show that Lester Piggot’s backside was above his head, Muis’s was level and the rest of the SA jocks had their heads a tad higher than their butts. Pictures speak a thousand words. Digging out these old pics brought back a flood of memories. Coincidentally tomorrow I am giving a talk about horsemen’s childhood memories at a Memory Studies Symposium. It’s mostly about how both famous ‘horse whisperers’ Monty Roberts and Buck Brannaman have older brothers that remember childhood differently to their famous little brother’s stories. Summerhill CEOSomehow, when good people go, you never quite fill the hole. Our good friend Wally Brits departed this earth on Thursday, and he went too soon and too suddenly. There are not enough Wally Brits’ in this world, and we shall all be the poorer for his going. One thing you can be sure of though, is that when Wally reaches the “pearly gates”, they’ll know he’s arrived. Besides being one of racing’s great sports, when Wally entered the room, there were no half measures. His love of life, a naughty sense of humour, and a never-say-die attitude was all-Wally, larger than life and a racing man from his socks to an enviable mop of locks. And if he was your mate, he was your mate for life, not that it mattered much to him if you chose otherwise. Wally was able to own a sizeable string of racehorses because he made a success of his other life; he was able to buy the horses he wanted, the Cookie Monsters of this world, because when he went to work, he made it work; and when he played, he played hard. Wally Brits was not the sort of man you’d employ in the belief you could manage him, and he wasn’t the kind of man you’d tell to leave. He was his own kind of guy, and that’s why he was his own kind of success. If the good Lord intends taking him in hand when he gets up there, he’d be advised to lead him in a head collar with a snaffle bit, and as he did when Liloy arrived, he would do well to carry a piece of polypipe in the other. Between now and this time next year, he won’t get a better man than Wally Brits, and we and his horses are the losers for it. As it happens, the 9th September marked the 36th year of my Dad’s passing, and as I said at the outset, you never quite close the hole. Times like these remind us of our upbringing, and thinking back, there are two features that stand out. One had to do with values. Ours was an old pioneer family which had survived the rigours of the remotest place in South Africa, through hard work, hand-me-downs and a sense of adventure. The story books tell you, growing up is fun. For us, it was. The other was horses. The Gosses and horses go back well into our Irish ancestry and my grandfather founded his stud at The Springs in the shadow of the Great Depression. There was no cash among our hand-me-downs, just old relationships, and the disease that afflicts us all in the horse game. Dad was big on the value of relationships, forever reminding us that transactions make turnovers, but people run the world. My mother was a remarkable woman, but the one thing I could never quite understand was her reservation about our sport. She knew both the fascinations and the pitfalls of the turf: it’s about dreams, rather than probabilities. It involves risk, physical and financial, and here we’ve touched on a part of its greatness, one of the reasons for all the lore and the literature. All great sport involves putting something on the line, all great sport demands some pain, the element of mortal chance, ritualized codes of conduct. My father on the other hand, had a different view. He felt that flawed people were more interesting than saints, and if you wanted to be a friend of Bryan Goss’, you needed to have character. It didn’t matter where you came from or who you were, there was little point in a lengthy conversation with him if it didn’t involve character. That’s why, if you called at the family home for a sundowner of an evening, you felt overdressed if you were in much else besides fishing gear. That’s why Tony Oats, the local telephone operator and the bus driver, Derek Wewege were “regulars”: they were good men with a good story, and they were good with a fishing rod. And that’s why sportsmen, like Bill Pohl, cricketing legend Roy McLean and Gilbey’s chairman Alan Bell, were always welcome at his watering hole, despite their exalted status. Men like Harold Almon, his solicitor; Terrence Larkan, his cattle-speculating partner; and Bruce Chapman, who’d supplied the family tractors for a half century and more, were his “everyday” mates. These friendships went with him to the grave. Importantly, my Dad taught me to know stock. He had an infallible eye. He knew that some faults and blemishes didn’t matter too much, and that others, like straight shoulders and shallow girths, were the road to poverty. He taught me about pedigrees, but he knew that a pedigree was just a piece of paper. You had to feed a horse to make that pedigree run. Sometimes that pedigree would not run, no matter what you fed it. He also taught me the art, a gentle art in this case, of persuading people of the virtues of owning a racehorse. I’m not sure he would’ve approved of me becoming a stud farmer, because he worked too hard encouraging me to be a lawyer, but we have to remember that our parents’ generation grew up in the shadows of two World Wars and the greatest depression the world’s ever known; everybody wanted the best for their kids. Too many people he’d known had gone to the wall in the horse business, and with the natural inclination of parents to kick for touch when it comes to their children’s security, he would’ve wanted nothing but the best for my brother, Pat and me. That said, he knew that despite my mother’s protestations, I was smitten with the racehorse bug. From the time I first sat on a potty, I had a Duff’s Turf Guide in my hands, and I praticised my riding skills on a sweet-natured mare called Gift. When I was 15 and suffering from an allergy, my father took me to a specialist in Durban, who scratched my arm and exposed it to the toxins from horsehair, feed and hay. My arm reacted to everything. “That’s all right”, the doctor said, “all you have to do to be free of this for the rest of your life, is stay away from horses and stables”. Outside, as we walked up the Marine Parade, I turned to my Dad and said, “we’ve done our dough”. The old man was a winner though, and just about everyone who knew him tells me he would’ve been a proud visitor to Summerhill today. While the championships would’ve pleased him no end, the one thing he would really have been proud of, is the atmosphere, the smiles on peoples’ faces and the sense of purpose and industry that pervades the place. These things point to a team that’s secure in its own skin, that sees South Africa not only for what it is, but for what it can be. He would’ve been proud to know too, that while some people have much to lose in defeat, in its attempt to meet the aspirations of its people, Summerhill was willing to venture everything for victory. Racing EditorBreeder Mick Goss, who has described racing as “an unforgiving business”, has led his Summerhill Stud team to a ninth consecutive Breeder’s Championship and few would argue his shrewd decisions have proved all-important. Back in 2004 when Mark Zuckerberg was co-founding Facebook, Goss was on the verge of capturing his first breeders title having established Summerhill with a handful of mares back in 1979. “Summerhill is 34 years old and it took 25 of those to produce the first championship - that it’s remained here for the past nine years is a tribute to guts, determination and a work ethic that goes way beyond the call of duty,” commented Goss. “Horseracing is an unforgiving business - one moment you’re cruising and the next you’re bruising and there’s little time for the fallen,” he added. Summerhill’s 2012/13 campaign was no cruise. Steinhoff boss, Markus Jooste, has made no secret of his desire to win the title for his Cape-based Klawervlei Stud and the battle went down to the final meetings of the season. Goss keeps close tabs on racing around the world and has just returned from the big Goodwood in the United Kingdom where Dawn Approach and Toronado had a fascinating clash in the Gr1 Sussex Stakes. Summerhill CEOWe finally did it. We don’t know what the margin is, but judging from the sms’ and emails, the telephone calls and the television announcements, there are enough people out there who do know, and they’ve been generous in their praise. These are humbling moments, because they remind us of the millions of hours our people put into delivering them, and of the courage and talents of our horses in claiming victory. In its present form, Summerhill is thirty-four years old, and it took 25 of those to produce the first championship, historic for the fact that it was the first time in the game’s annals that the pendulum had swung East. That it’s remained here for the past 9 years is a tribute to guts, determination and a work ethic that goes way beyond the call of duty. I have to confess, as thrilling as it always is to know that you’re part of a championship, it’s an even greater satisfaction to know that for the next year, you can look forward to the sunrise knowing that you’re going to work with one of the world’s great teams, and that you’re getting to work with the Lord’s greatest creation. The daunting thing though, now the job is done, is that this very day, your tally winds back to zero, and the whole thing kicks off again. There’s no respite, the competition is keen, they’re resourceful and just as determined, and the numbers (and the odds) are overwhelming. You’d think that keeping a team like ours interested after nine years at the top and keeping them motivated would be something of a challenge, but these guys know that the first thing they have to do, is to keep their feet on the ground. Horseracing is an unforgiving business, one moment you’re cruising, the next you’re bruising, and there’s little time for the fallen. It prefers to hail its survivors, and the best thing to do at times like this, is to remember your heroes: Nelson Mandela, Desmond Tutu, Gary Player, Jan Smuts, the Dalai Lama and Vincent O’Brien and you quickly get sense of perspective. So as soon as the back-slapping is over, it’s back to the grindstone. The horses don’t know yet that we’ve won the championship, and they need to be fed. One of the first calls we received last evening, came from this farm’s fine friend, the King of Lesotho: that His Majesty should have the time and the inclination to remember these things in a frenetic schedule, is the best proof of the value of relationships and the beguiling impact that horses have on the human spirit. Another call came from a fellow champion, our once-again crowned leading trainer, Mike de Kock and his wife Diane, whose margin of victory over a dogged foe, Sean Tarry, was about as tight as ours was over Klawervlei. De Kock was garnering his eighth trainer’s title, but as we like to remind him, we reached that milestone a while back! Though the Equus Awards are only due to take place on the 14th August, according to our calculations (see below), these were the figures left on the table at the close of play yesterday. 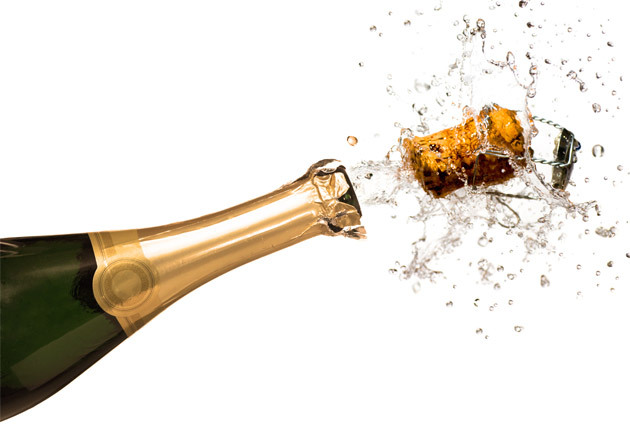 Tellytrack’s comment about “Summerhill Stud cracking the champagne”, brought on numerous congratulatory messages. Many thanks for your support and good wishes. The Summerhill Team. The most frequently asked question of the Summerhill team at the moment, is how we’re feeling about the Breeder’s Championship. I guess we’d be less than frank if we didn’t admit to a little apprehension! Though the degree of our anxiety depends on whose records you are consulting, the Sporting Post or Tellytrack? According to the former, going into the weekend, Summerhill held an advantage of R333,357, while Alistair Cohen’s revelation on Tellytrack on Saturday, suggested that our margin over Klawervlei was just about identical to the gap between Mike de Kock and Sean Tarry in the trainer’s log. Somewhere in the “one-hundred-and-ninety-thousands”. Both championships will go to the line, and the forthcoming weekend’s Gold Cup meeting will probably be decisive. Problem is, while de Kock and Tarry have their destinies in their own hands and are both amply loaded for their encounter, any student of form worth his salt, will tell you that the dice are stacked in Klawervlei’s favour for the Breeder’s Premiership. Besides, they have one other distinct advantage, and that rests in the fact that at least two of their principals, Markus Jooste and Chris van Niekerk, are among the country’s biggest owners and have been piling up their Klawervlei-bred entries at the races for a couple of weeks now, with an armada of runners. All season, we’ve been saying the numbers have become overwhelming, and it’s only because Summerhill-breds run more often than most other farm’s products, that we’ve been able to maintain a semblance of relevance. We’re sure we don’t have to persuade any of our readers that we are not defeatists at Summerhill. On the face of it though, the Klawervlei hand is particularly strong. As the only Group One winner in the Gold Bracelet, Thunder Dance is unbeatable in theory; on the strength of her victory in the Golden Slipper (Gr.1) on July Day, For The Lads looks to be exactly that, insurmountable on form; and on the back of his runaway march in the Gold Vase, Kolkata is a massive runner in the Gold Cup (Gr.1). Add to these the presence of Desert Sheik in the top division Handicap, and the signs could be ominous fairly early in the proceedings. That said, for eight consecutive years, the products of this farm have demonstrated that they will not go down without a battle, and there’ll be more on that as the week goes on. Let’s not underestimate it though; the Breeder’s Championship means an awful lot in the life of any farm, as it defines all the things you stand for. The South African version is the tightest held premiership in international breeding, with only seven entities having aspired to the mountain-top in well over a century. The yardstick by which we are all measured, is the incredible story of the Birch Brothers, who from the time formal recording was commenced in 1948, remained unbeaten for a period of 36 years, a history unlikely to be surpassed given that the competition these days is significantly sterner, and the money invested at unprecedented levels. That in itself puts our own eight consecutive championships into a more recent perspective. No farm since 1984, has strung together that many in a row, and if it never happens again for us, we’ll rest in the knowledge that we gave it our best shot! Meanwhile, you can be assured that the Summerhill team long ago identified other markers by which it wants to be measured: nobody owns a monopoly on a championship. Our people know the equations others often forget; great harvests come from arid sources. A modern-day record in Breeder’s Premierships, the winners of four Durban Julys, three J&B Mets, three Summer Handicaps, and they all sprung from nowhere. The other thing that drives this team, is knowing that one day you are going to be beaten: it’s the best way to avoid the trap of thinking you have something to lose; you are already naked. There is no reason not to follow your heart. TAB News When old-timers talk about memories of the Vodacom Durban July they inevitably mention the name, Mowgli. And, by any reckoning, the colt who won the 1952 running of South Africa’s premier race was a phenomenon. Mowgli is mainly remembered for his thrilling, short-head July victory over lion-hearted Radlington after the pair duelled neck-and-neck down the full length of the Greyville straight. But Mowgli’s lofty ranking in the game is due to his incredible performances throughout that 1952 Natal winter season, when he won six Group 1 races, including the July, within 12 weeks - over distances ranging from 1200m to 2100m. Adding burnish to the legend is the fact that the colt achieved all this with a serious breathing problem that saw him collapse as a juvenile before a shocked crowd in the Greyville grandstand. He was the first racehorse in the country to undergo a Hobday operation - then went on to write his special chapter in history. In a 1999 poll of the best South African racehorses of the 20th century, Mowgli was named among the top five - the others were Colorado King, Hawaii, Sea Cottage and Horse Chestnut. He was a product of the Ellis family racing operation, a breeding and training dynasty that shone brightly in South Africa for 40 years from the early 1940s. Ray Ellis started it all after retiring from business to farms in Mooi River and Colesberg. He had no involvement with horses but after spelling broodmares, he developed an interest in thoroughbreds. He bought a few fillies and became very successful as a breeder, owner and trainer. Before Mowgli came along, the top Ellis horse was Cape Heath, who saw Ray collect the King’s Cup from George VI after a famous victory at Turffontein in 1947. Racing filmmaker Aidan Lithgow has discovered that Mowgli was born at the Ellis stud farm at Colesberg in 1947, a son of 1940 Durban July winner Kipling, out of the mare Tixall Lock (by Salmon Leap). As a yearling he transferred to the family farm Hartford, near Mooi River, and went into training with Ray’s son Graham. Hartford had its own training track which still in use today as part of the expanded estate of champion stud farm Summerhill. To go racing, the Hartford horses had to leave the stables at 4am, sometimes in -6°C winter conditions, and walk several kilometres down country roads to Mooi River station to be railed to Durban. From Durban’s Berea station they were led through the city streets to Greyville (6km) or Clairwood (15km). Then there was the return journey… The feats of Mowgli and other Ellis champions seem even more remarkable when one considers all this. Mowgli, a huge, almost-black colt, had the pedigree and conformation to be a good horse. On the course he showed immediate promise, winning two of his first three races in 1950. Vets at the scene diagnosed both heat exhaustion and heart failure and Graham Ellis poured a bucket of water over the horse - after which Mowgli opened his eyes, lifted his head and got to his feet, ready to be led away. It was discovered that Mowgli’s problem was an epiglottal shut-down when stretching out at full gallop. These days a tie-back operation can quickly sort out such a problem, but back then the usual remedy - very often unsuccessful - was a plastic tube inserted into the throat before a race. Graham Ellis opted for the then-revolutionary Hobday operation. In 1950 this involved cutting a hole in the epiglottis, rather than a tie-back. Despite the procedure, racing authorities were reluctant to let Mowgli race again, fearing horses and jockeys might be endangered if he collapsed. But, fatefully, he did return to the track after 18 months out, making an immediate mark in winning a B division contest at Clairwood. Then he showed his extraordinary versatility by defeating top sprinter Moll over 1000m before running third in the Natal Derby over 2400m, then second in the SA Derby. He failed in the Met in Cape Town, but bounced back to trounce the great Black Cap in a sprint. June 1952 arrived and Mowgli’s time had come. He shrugged off a narrow defeat to Black Cap in the 1200m Newbury Stakes at Greyville by winning the 1800m Ascot Stakes. At Clairwood, he claimed the June Handicap by five lengths. A week later came the famous Mowgli-Radlington July, with the race then run over 2100m. Nine days later Mowgli won the Merchants at Greyville over 1000m, carrying 60kg and beating Trencon, to whom he conceded 10kg. Still in the month of July, there was the Clairwood Winter Handicap, in which he carried 59kg to victory over useful campaigner Prince Bertrand . Having turned five on 1 August, he saw off Exeter Chimes by five lengths in the Champion Stakes at Greyville. Mowgli was the hero of all racegoers who saw him perform these feats and those still alive today count his July win among their fondest memories in the game - as 92-year-old Jack Ramsay did just last week on Tellytrack. The 1952 July was the first to be run over the new subway; previously horses had to negotiate sawdust covering the tar of Marriot Road, which traverses Greyville racecourse. Mowgli was favourite at 3-1, with Lord Louis at 7-2 and Radlington at 10-1. Basil Lewis, in the Ellis black with green sash silks, had his charge well placed from the bell, some five lengths off the pace as the field swept behind the Drill Hall. Radlington, under another top jockey, Snowy Martin, was a little further back. Both moved up smartly on the final turn for home, with Mowgli grabbing the initiative on the fence. Radlington was balked as he went for a gap and switched out for his run. Radlington got on terms with several hundred metres to race and looked likely to pull clear as they reached the number board. But Lewis, riding the race of his life, kept Mowgli to his task and the adversaries swept past the post as one. It took the judge 10 min and a scrutiny of four photos to pronounce Mowgli the victor. Knowing that the horse ran in snatches, Lewis didn’t use his whip much, fearing it might disrupt the strange breathing pattern. There are stories that Mowgli often collapsed after his victories due to this peculiarity. Mowgli was retired to Hartford Stud in 1953 and had a lamentably short time as a stallion. In five crops, his best son was Council Rock, who, like his father, won the Durban Merchants over 1200m, before also showing versatility in taking the Cape of Good Hope Guineas over 1600m. One thing not in dispute is that Mowgli was one of our greatest horses, whose heroics will never be forgotten. Excerpt from the forthcoming Summerhill Sires brochure. Summerhill CEOI was lucky where I grew up, 20 miles outside the remotest village in 1950s Pondoland. Home was a trading station, where my father dealt in general goods and fattened cattle. Life was tough but it was good, and before my schooldays, my only friends were young Pondo boys from the local community. My first language was Xhosa, and my first love was cricket. In the context of our modern South African society, it was the ideal upbringing. Somehow though, horses were always destined to intervene in my life. Ever since I sat on a potty, I had a Duff’s Turf Guide in my hands, and I practised my riding skills on a sweet-natured mare called Gift. This was the life, and it’s what we called “home”. My mother knew both the fascinations and the pitfalls of the turf. It is about dreams, rather than probabilities. It involves risk, physical and financial. And here we have touched on a part of its greatness, one of the reasons for all the lore and the literature. All great sport involves putting something on the line. All great sport demands some pain, the element of mortal chance, ritualised codes of conduct. That is why racing, rugby and cricket have spawned such great writing. That is why jogging has not, and remains forever a middle class fad. My father had a different view. He felt that flawed people were more interesting than saints, so that the outrageous Randolph Churchill seemed a richer character than his canonised father. He taught me to know stock. He had an infallible eye. He knew that some faults and blemishes didn’t matter too much, and that others, like straight shoulders and shallow girths, were the road to poverty. He taught me about pedigrees, but he knew that a pedigree was just a piece of paper. You had to feed a horse to make that pedigree run. Sometimes that pedigree would not run, no matter what you fed it. He also taught me the art, a gentle art in this case, of persuading people of the virtues of owning a racehorse. The hamlet of Lusikisiki was a hub of civilization in those days: we even had a resident doctor. It was a melting pot of tribes, of cults and cultures, a tiny metropolis in a distant world. The one thing about which there was no argument, was religion. You were either Catholic, or you were Protestant. The village hall, which doubled as a “flick” house as well as the local boxing gym, still stands. Catholic funerals were sometimes held there, along with the St Patrick’s Night Ball. I once heard somewhere that the Gosses were either “devout Catholics or confirmed alcoholics”. Our branch was Protestant, and I guess that’s why in 1820, my settler namesake, Michael, forsook the Emerald Isle. The railway goods shed is still there too, its corrugated iron walls shot through with rust. Pigeons look down proprietorially from the roof spars, and the floor is carpeted with their feathers. The cemetery is east of the village. The Catholic section is hard up against the fence on the eastern side. The Protestants are hard up against the western fence. Between the two is a gap of perhaps 50 yards, which this afternoon, is populated by three non-denominational pied crows, lazing about in the sun. There wasn’t much more to Lusiksiki besides the local watering hole, the “Royal”, the cricket pitch and the racecourse. But it was home. You wouldn’t recognise our little ‘dorp’ these days. It is a frenetic, aromatic, run-through-the- bushes trading post, scruffy on the inside, bleak on the outside. Twenty-four hours of this kind of energy, makes you long for your mother. Yet it produced the owner of the 1946 Durban July winner, which in turn planted the seeds for eight National Breeders’ titles. And still, it was home. Beyond cricket, the one thing that thrived in our country villages, was horseracing. In addition to blessing the races, the Catholic fathers even provided the bookmakers. My grandfather taught my father to love the game, and my father taught me to do the same. Dad won a race at Matatiele one day, and doing a little arithmetic as the truck floated us home, he reckoned he’d paid out nearly as much in slings, gratuities and effervescent note-shoving, as he’d taken in prize money. It never bothered him at all. He was a racing man: damn the arithmetic. The same day, a partnership of ten had won a R600 race, and promptly spent R700 on framed photographs of the finish. Our isolation was no cure for the racehorse “disease”. I remember vividly the six-hour, three-puncture dirt road journey to the Durban July, through the “racing” suburbs of Clairwood and Montclair. These places were all about the South Africa of that era, a land of beef, wool, sugar and flat-topped flamboyant trees. Here was a pastoral enclave which smelt of the country, even if it was within walking distance of the inner city. The produce of the hinterland ended up here, wool from the sandstone hills of East Griqualand, fat lambs from the Natal Midlands, and bullocks from the verdant valleys of Mooi River. Here were wool stores, the headquarters of the Woolbrokers Federation, the sugar terminal, great brick edifices built for the ages, and long warehouses crammed with hides, the stiff pelts of sheep, cattle, jackals and rabbits. Everywhere there were racing yards. Despite my mother’s protestations, I was smitten, a victim for life of the racehorse drug. When I was fifteen and suffering from an allergy, my father took me to a specialist in Durban, who scratched my arm and exposed it to the toxins from horse hair, feed and hay. My arm reacted to everything. “That’s alright”, the doctor said, “all you have to do to be free of this for the rest of your life, is stay away from horses and stables”. Outside, as we walked up the Marine Parade, I turned to my dad and said “We’ve done our dough”. For all its other attractions and its proximity to the Wild Coast, Lusikisiki was not great farming country. Sometimes it was feast, most times it was famine. For a few of the earliest years, God, even if he was a Catholic, smiled on old “Siki”. For a while, farmhouses and trading stations sprang up till there were some that were in sight of each other. Then there were years of locusts, internecene riots, droughts and dust storms. The proverb was wrong: the rain didn’t always follow the plough. But it was still home. That’s why, when our turn came, we did what my dad had taught us. Good ground, good water and a good climate, are the “not-negotiables” of good horse country. Toss in good people, and you find yourself in Mooi River. Summer in some parts of the horse-rearing world means dust and a blazing sun that gives off a white glare. Summer at Summerhill is sublimely warm. There is always moisture in the soil, the grass holds a generous tinge of the green, and the clover stands to attention. Here there’s no need for farmers to struggle with stringy merino wethers; you can run five big Friesian cows to the hectare, without difficulty. Things grow. This is the Tipperary of the South. Kind country, paddocks bordered with clipped hedges of Drakensberg privet or sweet-smelling may, poplars, planes and liquid ambers along the farm lanes, old oaks encrusted with lichen around the farmhouses. Horses thrive here, partly because the land is generous, but also because the men and women who raise them, are stockmen. Unlike their counterparts in the cheque-book world you read about in overseas magazines, where buying a nomination to the hottest stallion in town is thought to be the panacea for breeding a good horse, these people live with their horses. They are not just pedigree pages, they are flesh and blood. Like me, my wife comes from a background of toil at the grindstone, of modest living and hard habits. As the eldest child in a Catholic family of seven, she left school early to lessen the burden on a prolific father. Like us though, old Stanley Harrison is a die-hard racing man of the Nelson Mandela vintage. And like the rest of the Summerhill family, for the past thirty-five years, he’s enjoyed calling this place “home”. Summerhill CEOCan you remember 1989? It was the year the Berlin Wall came down; the year of the Tiananmen Square massacre; the Ayatollah Khomeini died in 1989, signalling the start of the jihad wars, and the government, for the first time, was talking to Nelson Mandela. The age of the protest had arrived and the planet was in turmoil. The only certainty about South Africa, was uncertainty. As I’ve said before, I was lucky where I grew up. At a time when there was a touch of the “jitters” among people of European descent in general and local farmers in particular, it helped to know the customs, the aspirations and the languages of indigenous Africans. My best pal during my formative years, was Sizamela Sigcau of the Pondo Royal household, who preferred playing cricket on our front lawn to the formalities of court life. Even if that meant, as it did in the social dispensation of the era, that as a young “white” boy, I did most of the batting, and he did the bowling. That’s just the way it was, and as a six-year-old, I never thought anything of it. In later years, I served as the family’s lawyer. Sizamela was strongly connected, and an inspiration on the road ahead. Set as he was for high political office in the future government, in apartheid South Africa, we consulted clandestinely for fear of compromising his ambitions. It was at such a meeting, in the darkness of a deserted Pinetown parking lot in the winter of 1989, that he shared with me the ANC’s plans for the economy: no “Freedom Charter” nationalization of mines, banks or industries; we were all South Africans, and we could look forward to the reality of Nelson Mandela’s “non-sexist, non-racist” dream of opportunity-for-all. As our meeting concluded, I sought his reassurance that as a cabinet minister, he would not forsake his oldest friend, that things would remain as they’d always been. “You’re the best friend I’ve ever had” he patted me on the shoulder; “the only thing that will change is, if we ever play cricket again, you’re bowling”. The man had a sense of humour, and clearly he’d have preferred to bat a little longer in our infancies. That’s exactly how things are in South Africa nowadays: these guys are doing the batting, and we’re doing the bowling. Come to think of it though, I’m not sure much has changed down in the Eastern Cape. The national cricket team is replete with the names of world class Xhosa bowlers: Makahya Ntini, Monde Zondeki, Lonwabo Tsotsobe, and I suspect that at the Selborne, Queen’s and Dale Colleges, the “white” boys like Mark Boucher, are still wielding the willows. Thanks to my old pal, I had a different view of the future. With nothing to lose but Summerhill itself (most of which belonged to Standard Bank and Northern Guest at the time,) I was happy to bet the little we had in the farm on the way things would turn out. Days after that meeting, I was asked to mediate in an acrimonious dispute between the training fraternity and the Durban Turf Club. Understand, in the context of the affairs of the province, it was said that the Provincial government ranked third, the banks were second, and the Turf Club stewards, the “A” list families of Durban, were the supreme power. This was the age of protest remember, and in what was arguably the best bet of the year, the mediation process “exploded” within half an hour. So we took a tea break: tea fixes most things in Anglophile communities, as you know. During the adjournment I answered nature’s call, winding up in the loo in the company of the financial director of Hartford, the farm next door to Summerhill. I don’t know the rules in other realms, but urinals can be quite sociable places in South Africa, and Steve Lapin and I soon struck up a congenial conversation. He enquired half-mockingly, knowing there was no inheritance at Summerhill, when I was going to buy the neighbouring land. My old khakis and the same pair of veldskoens I’d arrived with in 1979, betrayed my poverty. Unaware how desperately the Ellis family were to sell, I had nothing to offer but the exchange of our home near Durban. Steve didn’t even wash his hands; we did the deal right there. That was South Africa in 1989. Now the site of the equestrian estate, Kirtlington, our land had a total agricultural potential of 2 milking cows and four polo ponies; swapping it for the most famous private breeding and racing establishment of its era, for me, was the deal of a lifetime. Now part of the greater Summerhill estate, Hartford has a long and distinguished history. As the home of the family of the former Prime Minister of the Colony, Sir Frederick Moor, it had hosted Winston Churchill and General Botha, prime ministers of another generation. In later life, the Ellises had bred, raised and trained on the property, the winners of every major race on the South African calendar. The paddock alongside the chapel bore the footprints of the legends Mowgli, Sentinel and Magic Mirror. And Cape Heath, Panjandrum, Alyssum, Magic Charm, Ajax and Salmon. The roll call is long, and proof of Sir Mordaunt Milner’s proclamation that the Ellis era remains unrivalled in its dominance to this day. I remember the first time I entered the sandstone gates of Hartford. Along the drive, the old flower pots bearing the names of forty eight champions, talked of a fading history; things were quieter these days, but I knew I’d arrived in the racehorse valhallah. The Hartford horses had infused the Ellises with the divinity of a racing pope. Hidden away from the mortal world behind those great gates was the “great within”, as this imperial enclave was affectionately known. Raymond Ellis’ aura radiated outward with the mystery and power of any enthroned Holy Father. He set records in racing the way Jacques Kallis has done in cricket. He changed the way horses were trained, as surely as Mohammed Ali changed the way men moved in a boxing ring. He even contrived to ruin a stereotype. Because of the man he was, he brought a wholesomeness to a game that suffered from an ancient occupational hazard: no man blames himself when he’s “done” the housekeeping cash on a horse. While other horsemen of the time occasionally won big races, they often seemed to be throwing a dice and praying a lot. Ellis on the other hand, always seemed to be working to some guaranteed quota. The unheralded genius behind the breeding of these “giants”, was a silent man of god-given talents. Peet Norval was the horseman everyone wanted to know. From the time Mowgli rolled home in the 1952 “July”, he was simply “Peet”. Everyone, even if they didn’t read the sports pages, knew who Peet was. It was assumed he owned magical powers. He was the alchemist who turned base metals into gold; to Peet though, this was all moonshine. He was about commonsense rather than magic, craft rather than sorcery. Astonishingly good at what he did. But this wouldn’t do for a doting public; it wasn’t the stuff of mythology. That moment at the urinal had left me with two daunting tasks; the first was to break the news of the house exchange to my wife, and the second was the responsibility of stepping into the shoes of the most successful bloodstock enterprise of our times. These days, I’m sure Cheryl won’t mind me confiding in you, that the former held greater fears for me than the latter: it took almost a month to do it. Kipling had often come to my rescue in moments like these, and that bit about making “a heap of all your winnings, and risking it all on one turn of pitch and toss,” was the balm that settled it all. That Hartford House today is a totem among the nation’s boutique hotels, is a sign that all is forgiven. The greater “mountain” lay in the custodianship of an unprecedented legacy. The Moors had arrived in 1875, and besides their political influence, they built two icons of the business world. Since the outbreak of World War II, the Ellises had carried the mantle of greatness into other realms, none greater though, than the fortress they built around the stock of Sybil’s Nephew and Masham. There was a time, from the forties through the seventies, when a horse in the green and black on its way to post, was said to be better than money in the bank. I have to confess, I liked the poetry, but it only heightened my apprehension. So here we were, the boy from Pondoland and the girl without a “school-leavers”, venturing into the unknown of 1989. Luckily, Hartford is more than great “dirt”: abundant valleys of gorgeous loam over sandstone and basalt, hundreds of massive blue gums and oaks telling you the country is kind, but not soft. With its chapel, its venerable homestead and its English gardens, Hartford is a national institution. When Graham Ellis handed me the keys to the house in the shadow of Verrocchio’s masterpiece, I had a sense of destiny. He was obviously moved, but that’s okay: he hid it behind his sunglasses. I promised we’d do all we could to honour the past, whatever that took. When the Summerhill team lined up for its eighth consecutive Breeders’ premiership in the spring of 2012, I sensed the old man was saying “mission accomplished”.